In the United States, Billy Ocean is best known for his 1984 smash “Caribbean Queen” and his album Suddenly—which sold over 2 million copies in the U.S. alone. “Caribbean Queen,” in addition to reaching #6 pop in the UK, soared to #1 on no less than three of Billboard’s singles charts in the U.S.: R&B, dance/club and the Billboard Hot 100. But while Suddenly did a lot to increase Ocean’s popularity in North America, he was a star in the UK eight years before that. Two years after the release of Billy Ocean, GTO Records (a British label launched in 1974) was acquired by CBS Records (now Sony Music). GTO helped Ocean gain a lot of British fans in the late 1970s, and in 1981, the funky “Nights (Feel Like Getting Down)” reached #7 on Billboard’s R&B singles chart in the U.S. and became his biggest American single prior to “Caribbean Queen.” But it wasn’t until after Ocean signed with Zomba Music/Jive Records in 1983 that he became as popular in the U.S. (where his Zomba/Jive releases were distributed by Arista Records) as he had been in Great Britain. Ocean, now 64, has had a long and productive career. 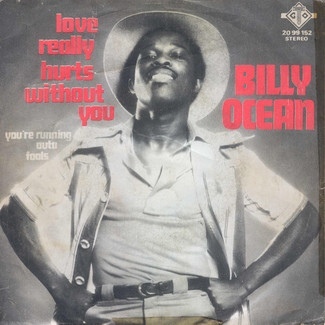 But it was Billy Ocean that first made him a star in the UK, and he has clearly lived up to the promise he showed 38 years ago on this engaging debut. Alex Henderson’s work has appeared in Billboard, Spin, Salon.com, Creem, The L.A. Weekly, AlterNet, JazzTimes, Jazziz, Cash Box, HITS, CD Review, Skin Two, Black Beat, The Pasadena Weekly, Black Radio Exclusive (BRE), Music Connection, The New York City Jazz Record, Jazz Inside Magazine and many other well-known publications. Henderson (alexvhenderson.com) also contributed several thousand CD reviews to the popular Allmusic.com website and The All Music Guide’s series of music reference books.